The black evangelist Tom Skinner has often been portrayed as a kind of radical figure who challenged white evangelicals to confront racism. His speech at the 1970 Urbana Conference is particularly famous (that is, famous in the small world of black evangelical history). Skinner was not afraid to make white evangelicals uncomfortable. 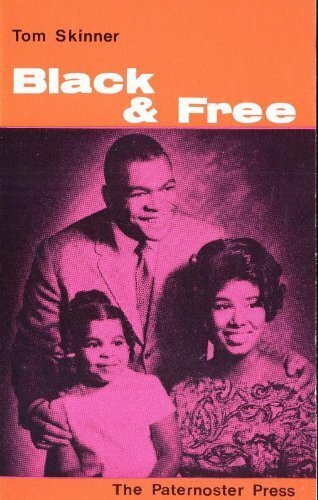 They were “almost totally irresponsible” in their avoidance of their black brethren, and it was only the pressures of the civil rights movement that had belatedly stirred them from their complacency. He blasted white evangelicals who piously intoned that “Jesus was the answer” while refusing to get involved in the problem. Skinner believed Jesus was the answer too. But he had skin in the game, and he expected other evangelicals to join him. Yet it was precisely this supplicatory undertone that made Skinner’s criticisms manageable. For all the discomfort his words could cause, he did not doubt that white evangelicals had the correct theology on the point that mattered most, and he asked them to help him bring their theology to the ghetto. Christianity Today approvingly noted that Skinner “plays down social insurgence in his sermons because he feels that reform may take ‘sixty years’ but that regeneration through Christ can help now.” To put it baldly, converted Negroes were not rioting Negroes. Remarkably, Skinner’s criticisms of white evangelicals were tame compared to his open contempt for the black church. He described most black churches as bastions of excessive emotionalism and spiritual immaturity, led by ministers given over to sexual immorality and hypocrisy. As a result, he claimed, “There is hardly any Christian witness in the ghetto.” There’s little reason to suppose Skinner’s hostility toward the black church was anything but sincere, but it also proved useful. It flattered white evangelical assumptions of religio-racial superiority…. I’m still working out where I’m going with this. “The Gospel with Candor,” Christianity Today, October 14, 1966, 53-54. Skinner, Black and Free, 45-53. Skinner, Black and Free, 32. In the 1960s, What Did Spiritual Equality Imply? This logo appeared in the 1960s on the magazine Together, a joint publication of National and Southern Baptists in Missouri (in other words, black and white Baptists). It’s a great example of the ambiguity of Christian colorblindness as segregationist theology was in eclipse but the precise shape of the new theology remained unclear. The logo and tagline make an argument for spiritual equality: when we come to the cross of Christ we all stand in equal need, regardless of color. But what are the social implications of that spiritual equality? Does it mean that segregation is wrong? Does it mean that civil rights laws should be passed? That’s not at all clear. In fact, the cross standing between the two figures, one white and one black, could be read as a picture of “separate but equal” theology. As often as claims of spiritual equality were used to attack the logic underlying Jim Crow, such claims also ran alongside it. God might love everyone equally and be a segregationist. Images and rhetoric like this one worked in the 1960s because they were open to so many various and contradictory interpretations. Most people could find an angle on it that they liked. I’m also interested in where this quote (“the ground is exceedingly level…”) came from and where the publishers of this magazine thought it came from. Billy Graham seems to have used a similar phrase in some of his crusades. There is an apocryphal story floating around the internet that Robert E. Lee said it (the myth of Lee as a magnanimous Christian just won’t die), but I can’t find out who actually said it originally. It would be ironic if the quote originated in a Lost Cause Lee-rehabilitation narrative. But I’m guessing its roots go further back. How Can Trump’s Presidency Cause A Crisis of Faith? Is it possible for Christianity to be true if it doesn’t appear to have any significant effect on most Christians? Evangelical Christianity, in particular, makes rather grandiose claims about what happens to people when Jesus saves them. They are fundamentally transformed and given new lives. The love of God spills over, from the inside out, to every dimension of their being. They are not only given a new relationship with God and a subjective consciousness of the nearness of his love, they are empowered by the Holy Spirit to make practical changes in their lives leading to ethical improvement and concern for others. In the Trump era, this looks an awful lot like fake news. In recent years it’s been like one punch in the gut after another as people who seem to be sincere followers of Jesus reveal themselves as followers of Trump. Before it happened, I never would have dreamed that they were capable of this kind of behavior. At my most cynical, I couldn’t imagine it. But then it happened. I don’t think I’m wrong to be bothered by this. It is reasonable for me to be saddened and angry. The betrayal I feel is real; there’s no sense denying the potency of these feelings. And I have to admit that all of this has made it much harder to be a Christian. If my faith says Jesus changes people but my eyes say he doesn’t, what am I supposed to think? I know I’m not alone in feeling this. For me, there is something deeply provincial, even narcissistic, about my faith being upset by Trumpist Christians. Christians enslaving and commodifying people didn’t give me a crisis of faith. Christians conquering a whole hemisphere and slaughtering people in the name of Christ didn’t give me a crisis of faith. Christians colonizing the whole globe in pursuit of power and wealth didn’t give me a crisis of faith. Christians supporting the Holocaust didn’t give me a crisis of faith. Christians opposing the civil rights movement didn’t give me a crisis of faith (ok, well, maybe a little since I study it so much). But now Christians support the latest American President and my foundations are shaken. Obviously this final act is real to me in a way the others are not. The immediacy of experience and emotion and relationships in a given time and place is part of what makes us human. We are here, not there, we are of this time, not another. We feel it more. This is inevitable. The message of Jesus is counterintuitive and humbling. It is upsetting to people who are moralistic, wealthy, or successful. It is upsetting to people who want to live comfortably. That most people would not want to follow Jesus is about the least surprising news in the world. So why would I be so disillusioned by Christian followers of Trump? My disillusionment reveals that I have been invested in narratives of Christian progress and evangelical truth. I have assumed, often subconsciously, that contemporary Christians are more apt to get things right than Christians in the past. We’ve learned from the past, I often thought, and have stripped away many of the cultural blinders that so clearly got in the way of prior generations of Christians. I have assumed that our generation is the tip of the spear in a long forward-moving story of Christian progress. Maybe, instead, we’re just another iteration of the usual reality: selfishness the norm, faithful following of Jesus the exception. And for all my quarrels with evangelicalism, I have continued to believe in its truth. I have thought of it as the most potent and “correct” form of Christianity. These are my people. In other words, it is not that big a deal if those Christians over there go off the deep end. What could we really expect of those [liberals, Catholics, etc., etc.,] anyway? But evangelicals—my people, bearers of truth—can’t go wrong. My hopes have been built not only on the life of Jesus. I have also erected an elaborate and far more unstable scaffolding of cultural Christianity dependent on illusions of progress and evangelical innocence. This has come crashing down. Ironically, this brings to my mind a very evangelical hymn. It has a line that goes like this: “My hope is built on nothing less than Jesus’ blood and righteousness. I dare not trust the sweetest frame, but wholly lean on Jesus’ name.” I thought I could rely on evangelicalism. I thought I could trust in the things I had been taught and the people who taught me. It turns out I couldn’t. But what I really want to say, to myself and to everyone who shares the ache of disillusionment, is that Jesus himself does not disappoint. You know I don’t preach politics from this pulpit. There are many political and policy views among Christians, and many represented here in this sanctuary. But our faith involves a common belief with unavoidably public consequences: Christians are to love their neighbor, and everyone is their neighbor. All the appearances of difference — in race, ethnicity, nationality and accomplishment — are deceptive. The reality is unseen. God’s distribution of dignity is completely and radically equal. No one is worthless. No one is insignificant. No one should be reduced to the status of a thing. This is the changeless truth in our changing politics. You can argue about what constitutes effective criminal-justice policy — but, as a Christian, you cannot view and treat inmates like animals. You can disagree about the procedures by which our country takes in refugees — but you can’t demonize them for political gain. And you can argue about the proper shape of our immigration system — but you can’t support any policy that achieves its goal by purposely terrorizing children. Those of you who are churchgoers, what do you think? Would this message be welcomed in your church? I wonder if most Trump followers in the pews would be ok with this sermon because they would just say Trump isn’t actually doing any of these things. If people just sidestep this message, what’s a pastor to do? I don’t envy pastors in this time. A Church that is not faithful to the Gospel in all its dimensions inevitably becomes an instrument of the status quo. The Gospel is meant to place the totality of life under the universal lordship of Jesus Christ, not to produce cultic sects; it is an open break to the status quo of the world. Therefore a Gospel that leaves untouched our life in the world — in relationship to the world of men as well as in relationship to the world of creation — is not the Christian Gospel, but culture Christianity, adjusted to the mood of the day. I’m reading George Marsden’s Bancroft Prize-winning biography of Jonathan Edwards, and it’s reminding me of being a kid. When done well, biographies can be incredibly immersive experiences, far more so than any movie or television series (in my humble opinion, of course). When I was young biographies were key entry points into history and they made my imagination run wild. It was, and still is, hard to believe that other people have existed and lived different lives from mine. (Think about it). Entering into the life of a person in another time and place and following it through to its conclusion can be extremely sobering and inspiring. It also has the happy effect of assuring me that I’m thoroughly average, will always be average, and can bask in the freedom of not being A Great Man of History. I think I would like to write a biography in the future. But I am puzzling over the ethical dilemmas of the genre. I remember when I finished my master’s thesis (which, though not strictly a biography, had some biographical features and focused in particular on John Stennis) the chair of the history department asked me, “Wait, do you like this guy?” Because Stennis was a white supremacist it was a loaded question! And I thought the answer ought to have been obvious, but perhaps it wasn’t. I had tried very hard to understand Stennis, and I firmly believe that there’s no such thing as a historian understanding their subjects too well. But…who we try hardest to understand is an important choice, one with consequences. At the outset of Jonathan Edwards, Marsden asks us to try to understand Edwards in his time. He wasn’t an American or an evangelical, and he couldn’t imagine social hierarchy as anything but a good thing. So far so good. But I’m not sure Marsden’s commendable sensitivity to understanding Edwards extends very well to other actors in the book. As much as I feel I understand Edwards, so much of the world around him seems largely invisible in this book (so far; I’m 300 pages in). Why are the Indians so opaque? Why are the enslaved so invisible? To say that they were so for Edwards for long stretches of his life tells us a little about Edwards but isn’t itself a reason to render them so in a new history. These are old qualms that have been much discussed and argued over, but I’m still confused about them. And it seems to me that biography may be a genre particularly vulnerable to this problem. Nonetheless, I see why Marsden won the Bancroft Prize. It’s a great book. Jonathan Edwards strikes me as the sort of person I want to encounter from the safe distance of the printed page and several hundreds years. From that distance he is quite fascinating. I don’t know that I would have wanted to hang out with him. He was incredibly intense about everything. That reminds me: the other biography I’m just now getting into is Victor Sebestyen’s new life of Lenin. If only to prove that you can always make connections between things, I would say what makes Edwards and Lenin similar is their singular focus to see their principles through to their conclusion (I admit the results were considerably bloodier in Lenin’s case). Back to Edwards: I didn’t know anything about him beyond the sorts of things you read in general surveys of the era. (Indeed, the dirty little secret of this whole enterprise I’m engaged in is that I don’t yet know much about the history of evangelicalism!). I’m fascinated by the way Edward’s views appear to scramble and upset so much of the evangelical tradition that in one way or another claims some descent from him. He was a revivalist who believed deeply in hierarchical authority. He sought and achieved ecstatic spiritual experiences, and he was obsessed with reason. He brooded over the machinations of the Devil and the depravity of people, and he believed the millennium might be close at hand. I’m especially interested in Edwards’ views of the relationship between church and state and of God’s plan for New England. Do we see in Edwards the “poisoned root” I referred to the other day? I need to know more. President Obama in Charleston, South Carolina, June, 2015. In the first video, you see a President with no understanding of Christianity. He has no internal knowledge of faith to draw upon that might render his religious words credible. And so he speaks in the only language he knows: that of transaction and identitarian symbols. He speaks to an interest group, muttering tinny phrases remarkable only for their shimmering hollowness. The words he uses are only those he has figured out his audience wants to hear. This base kind of cunning is perhaps his only distinguishing feature of intelligence. It’s a calculation not unlike that of a puppy which has learned how to get a treat. Trump would find it impossible to explain why Christmas might be theologically important. But he’s damn sure going to say the word! President Trump has not tried to hide his distaste for Christianity and what it stands for. While Christians look out on a world governed by grace and seek to be agents of reconciliation and forgiveness, Trump boasts that might is right, that power and power alone counts in life. And he promises to deploy his power on behalf of scared Christians. They love him for that. The “Christian” Right’s affection for a Godless president is not so surprising. For among the many things and people the Christian Right has always seemed to dislike is Christianity itself. They’re too busy trying to take over the country to bother with someone as naive as Jesus. In the second video, you see a President immersed in theological reflection, attuned to Christian idioms, inviting his audience explore the possibilities of Christian hope. President Obama’s extended meditation on grace shows a thorough understanding of orthodox Christian theology. It is moving and profound. It comes from a place of understanding. It is impossible to imagine President Trump delivering such a message. There are reasons to be cautious about President Obama’s religious language. He often deployed it for nationalist purposes, using Scripture meant for the church and applying it to America. That’s dangerous. But if white evangelicals believed their own claims—that this is a Christian nation—they ought to have loved Obama’s rhetoric. Why were most white evangelicals unable to appreciate the faith of President Obama? As Alicia pointed out this morning, the problem was not only that Obama often spoke in the tradition of the social gospel. The problem was that—as you see in the Charleston eulogy—his faith was black. In the white evangelical mainstream, true Christianity—that which is mature, biblically correct, normative—is implicitly white. You might argue it’s not fair to compare speeches given in such different contexts. But that’s actually part of the point: President Trump is incapable of giving the kind of speech President Obama gave. And the reason for that is not only because President Trump is an inferior public speaker. It’s because he’s so hostile to Christianity. Have you ever heard a Christian say that racism is a sin problem not a skin problem? Cute, right? This phrase has some nifty alliteration going for it, but that’s about all. I still can’t figure out what it’s supposed to mean. As soon as you generalize the idea to other topics its emptiness seems apparent. “Greed is a sin problem not a money problem.” Yeah ok, but the money thing seems kind of important. I have little reason to doubt the basic veracity of this woman’s testimony. There certainly were black Christians who did not approve of the civil rights movement, or at least its tactics. And CURE really was an interracial Christian organization that existed in Philadelphia at that time, and its public statements tended to fit with the sensibility we see in this letter: that racial progress will come through spiritual regeneration more than through social reform. So I suspect that Reverend Bluford, in about 1967 or 68, really did tell this woman that racism was a sin problem not a skin problem. Then I got to thinking. If a black pastor in Philly was using this phrase in the 1960s, where did it come from and how long has it been around? I did some more searching and couldn’t come up with anything else. I can’t find the phrase or even a derivative of it anywhere before 1968. But I bet it’s out there. There are lot of old fundamentalist magazines and denominational publications I’ve never looked at. Can anyone find an earlier usage of this phrase? I can’t offer you a large cash prize but you can buy yourself a cookie or something, ok? Besides, the joy of historical exploration is its own reward. When you google “Christian unity” you get lots of sappy pictures like this. The Bible does not call us to love and accept each other when we become like each other and when there are no differences. Rather it calls for love and unity in spite of our differences. One of the deepest convictions that I have is that actions speak louder than words. The actions taken this year by the administration speak loudly, they scream. They say that the Asian, African-American, and Latino student have not yet been embraced in every way in [our] College, and will not be embraced until the lies which say that we are inferior people and we need to become “Europeanized” or “Americanized” are accepted. Minorities have two deeply significant choices to make early in their…experience [here]; either we go through our four years frustrated, with the understanding that we are receiving a “half-truth” education, or we kill off any trace of our heritage in order to fit in or feel that we have progressed. You can find evidence of that among our students. This is often what it looks like when evangelicals argue about race and culture. Their Bibles are never far away. They bring their theology to bear. The discussion may become overtly political. But it is almost always ecclesial too. People are wrestling with what the “Body of Christ” is actually supposed to look like. Both this student and the white student I wrote about the other day are talking about what it means to be united together in Christ. But their conclusions are dramatically different. For this student, unity means reckoning with real differences and sharing power. For the colorblind student, very similar unity language becomes a tool to deny the power dynamics involved. We might also think about the boundaries of evangelical identity in the context of this letter. Here’s a Hispanic student who wanted the evangelical theological training she was receiving, but felt that the cultural cost of the education was extremely high. Even as she embraced an evangelical world, she received the message that good evangelicals didn’t act or think like she did. As a result, she and others faced the horrible choice of submerging “any trace of our heritage” just to belong. White evangelicals often wonder when evangelicals of color will stop “complaining” and we can stop talking about these things. That misunderstands the project. The discussion is permanent, because our differences are real and unity will always be hard work. That’s not to say things can’t get better. One measure of change would be this: when the costs of belonging to the Body of Christ are equally borne by all.